All of our herbs, no matter what size, are grown with slow release fertiliser to prolong their shelf life. Our 9cm Herbs are packed in trays of 20. Each pot has a bespoke colour care card. The reverse of the care card has a few bullet points of information, care instructions and positioning tips. A Danish trolley shelf will take 4 trays and a total of 40 trays will fit on a full trolley. Our 13cm Herbs are packed in trays of 8. As with the 9cm Herbs each pot has a full colour care card with growing information and flowering time. A Danish Trolley shelf will take 5 trays of 13cm trays and we can get up to 35 trays on a trolley. Weekly list is faxed or emailed on Thursday for the following week. 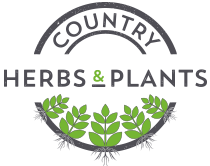 Please SIGN UP to receive our latest list of herbs & plants. Orders must be in by Midday Monday to enable same week delivery.